Thanks for sharing, enjoyed reading & look forward to hearing from both Bennett & Carter. Now, any other park will pale in comparison. Sounds like you had a great but exhausting time. 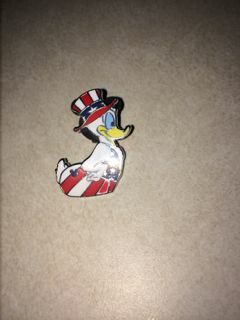 We have done pin trading for years. When the boys were younger, we spent tons of time wheeling and dealing. 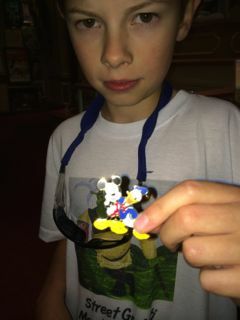 There are special Disney pins that certain cast members have, and one visit we spent almost one whole day just pin trading, trying to find these pins. It was fun!! 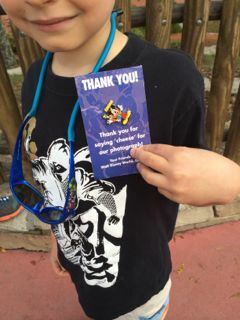 I am happy to hear I am not the only one who is exhausted after a day/week in Disney. Thought I was getting old and losing my edge. Seems like my Dad and I should have gotten your Disney advice before we went two years back! We were a bit overwhelmed. Hi Betsy, jeez. I was exhausted after reading your post. Betsy, I appreciate the embedded links. I am enjoying being a vicarious traveler, exploring the diverse regions of our county. The RV park looks pleasant, and welcoming. I was surprised to learn a person can rent, up to 6 months, a “brick and mortar” unit. The link to Touringplans.com features graphs on wait times, crowd levels, and even traffic patterns. 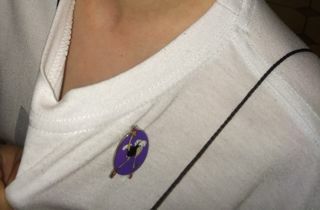 And the pin trading would be a fantastic way to meet new people. Thank you for sharing. Ah boys — now that you have the pin trading thing down you have to go to the Olympics and trade Olympic pins!! I really thought this was fun and, if I remember, will show you the Olympic pins that I have when you are here. We enjoyed our dinner together together, and I it was fun counting the hidden bones on the boys cups, and reading the police trivia on Bennett’s menu, and talking for hours. David and I are so glad you had fun trading those pins. They’re exclusive pins and Carter, I promise to send you both another original pin. No worries. 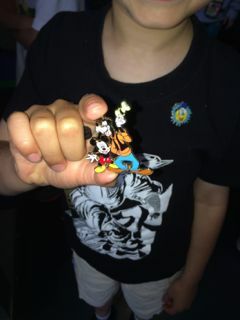 You’re both now official Disney pin traders. 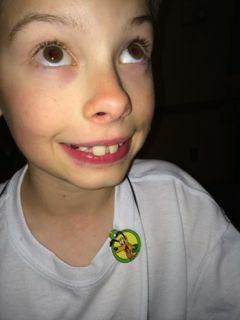 Betsy, Am so glad pin trading turned out to be a blast for everyone. But aren’t you glad I waited until your last day to get you started! It can get a little obsessive. A great way to meet and greet people though. 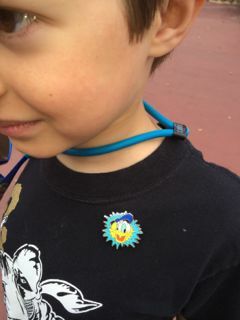 I love Carter’s blissful smile with his Pluto pin, and Bennett’s sweet smile with Chip’nDale! 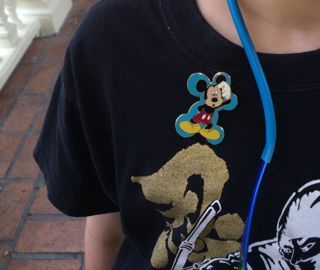 We just went to Disneyland in January, and I saw those pins everywhere but had no idea about this whole bartering system. Of course, I mentioned it to Cole and he said, “Oh, yeah. I figured that out on the first day, Mom.” Betsy, I completely agree with your Disney park advice. We can’t wait to read Carter and Bennett’s entries on their trip!